You can watch ITV Hub abroad (outside the UK) with a VPN but not all VPNs will work. 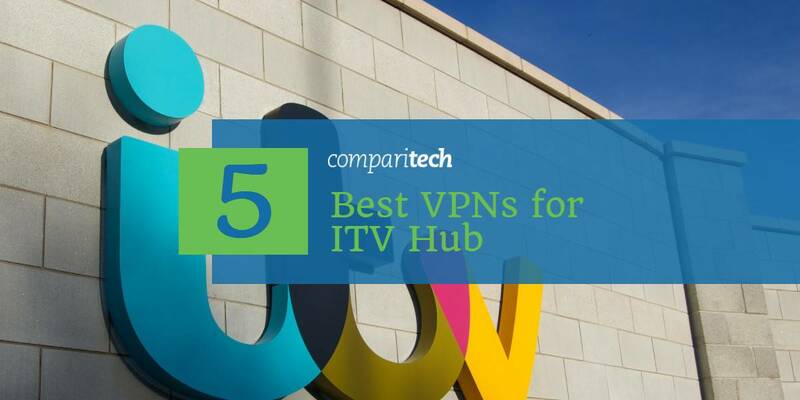 We'll show you the best VPNs for ITV Hub so you can watch it from any country. Are you interested in watching UK content, including popular soap operas such as Coronation Street or Emmerdale or shows including I’m a Celebrity and Britain’s got Talent? Or are you trying to tune in to sporting events such as the Six Nations? This content is available on platforms like ITV Hub (previously called ITV Player) and the BBC, but it’s geo-locked so that it’s unavailable outside the UK. Fortunately, you can bypass these restrictions by connecting to a Virtual Private Network (VPN). ExpressVPN Our top choice. A veteran when it comes to accessing geo-blocked content like ITV Hub and most UK streaming sites. No skimping on security or speed. Includes 30-day money-back guarantee. NordVPN Good budget VPN with strong privacy and security features. Works with ITV Hub and most popular streaming services. CyberGhost Does a fine job without breaking the bank. Top security and good speeds. PrivateVPN Impressive up-and-coming VPN that works well with ITV Hub and other streaming services. IPVanish Top marks for speed and works well with the ITV Player. VPNs encrypt your network traffic and route it through a server in a different location. This means that if you choose a UK server, it will appear as though you’re connecting from within the UK. You can, therefore, get full access to content from ITV, the BBC, and more when abroad, no matter if you are in the USA, Spain, France, Dubai, Australia or anywhere else in the world. Further, because your traffic is encrypted, your Internet Service Provider (ISP) can’t tell that you’re streaming and is less likely to throttle your network speeds. ExpressVPN has high-speed servers in more than 90 countries, making it a strong choice for those looking to watch live streams on the ITV Player. It’s also capable of unblocking the BBC iPlayer, Netflix, and Hulu. ExpressVPN takes security seriously. It offers 256-bit AES encryption, DNS leak protection, perfect forward secrecy, and a kill switch. While not completely log-free, this VPN only keeps the information required to diagnose network issues. Users have the ability to register anonymously; this provider accepts bitcoin and has a .onion version of their website. ExpressVPN has apps for Windows, Mac, Android, and iOS. It can be manually installed on Linux and some wireless routers. BEST VPN FOR ITV HUB:ExpressVPN is our Top Choice. Fast becoming a favourite for ITV Hub users with its vast network of servers that is fine-tuned for high-speed connections. User-friendly apps for all operating systems. Works well with all major streaming services including Netflix, Amazon Prime, BBC iPlayer and SkyGo. Hard to beat on privacy and security. There is a 30-day no-quibbles money-back guarantee so you can try it risk-free. NordVPN is one of the best VPNs when it comes to watching videos online. All NordVPN’s servers are optimized for HD streaming and with more than 3,000 servers in 60 countries, buffering time is kept to a minimum. It can unblock more than 100 streaming services too, including BBC iPlayer, Hulu, and of course, the ITV Player (sometimes called the ITV Hub). NordVPN uses 256-bit AES encryption and is completely log free. It only stores a user’s email address and billing information. DNS leak protection, a process-specific kill switch, anti-malware, and ad-blocking features are also included, making NordVPN an excellent choice for general web browsing as well as streaming. NordVPN has dedicated apps for Windows, Mac, iOS, and Android. It can be manually installed on Linux-based systems and some routers. BEST BUDGET VPN:NordVPN is a good value all-rounder. A great value option that’s a solid ITV Hub performer. Connects up to 6 devices simultaneously. Also works well with most popular streaming services and achieves consistently good speeds. 30-day money back guarantee. With more than 150 servers in the UK, you should be able to access the ITV Player through CyberGhost without any issues. It even has an “Unblock Streaming” option that allows you to unblock individual platforms like Netflix, YouTube, and the iPlayer. CyberGhost is ideal for people looking to protect several devices as easily as possible. CyberGhost can automatically check for malware and block ads. Users can avail themselves of its forced HTTPS redirection and 256-bit encryption to stay as safe as possible no matter which their five allowed devices they’re using. CyberGhost has a true no-logs policy. This ensures that your activities cannot be traced back to you, even if requested by a third-party. CyberGhost has apps for Windows, MacOS, Android, and iOS. It can be manually configured to work with Linux and specific wireless routers. BUDGET CHOICE:CyberGhost is great for beginners. Easy to use. Vast server representation in the UK makes them ideal for ITV Hub. Can struggle with some other popular streaming sites. Stores no logs and streams HD video reliably. 45-day money back guarantee. PrivateVPN is capable of unblocking streaming services like Netflix (both in the app or a browser) and even works in China, unlike many of its rivals. PrivateVPN only has four servers in the UK but manages to provide better than average speeds despite this. With a fast enough internet speed, you’ll even be able to stream 4K content when connected. PrivateVPN is a service that emphasizes security above all else. It uses 256-bit AES encryption and is completely logless. DNS and IPv6 leak protection are included, as is a kill switch. Six devices can be connected at once so it’s great for homes with multiple computers and smartphones. PrivateVPN has apps for Android, Windows, MacOS, and iOS. It can be manually installed on Linux, and some routers. GREAT SPEED:PrivateVPN is a good family choice. Works well with ITV Hub and allows up to 6 devices on the same account. Small server count. 30-day money back guarantee. IPVanish is a lightweight, highly configurable VPN with excellent multi-platform support. It allows up to five simultaneous connections and has a negligible impact on network speeds, making it a strong choice for those looking to stream HD content. While IPVanish can’t unblock as many streaming services as some of its rivals, it can unblock the ITV Player without any problems. This VPN uses 256-bit AES encryption and allows users to enable several other security options. These include DNS and IPv6 leak protection, a kill switch, a LAN traffic blocker, OpenVPN obfuscation, and timed IP switching. IPVanish has apps for Windows, Mac, iOS, Android, and Amazon Fire TV Stick. It can also be manually configured for Linux and certain wireless routers. LARGE NETWORK:IPVanish works with up to 10 Connected devices. Great for families and multiple connections. Works well with ITV Hub but look elsewhere if you want to unblock Netflix. 7-day money-back guarantee. Start by signing up for one of the VPNs listed above (we recommend ExpressVPN). Download the VPN software, making sure to get the relevant version for your device. Connect to one of your VPN’s British servers (note: if you use a Scottish server, you’ll have to use the STV Player instead of the ITV Hub). Try to stream a video on the ITV Hub. You should find that it loads immediately but if not, you can solve most issues by clearing your browser’s cache and cookies, then refreshing the page. Can I use a free VPN to watch ITV? We advise against using a free VPN to watch ITV, especially if you want to watch live content. Free VPN services usually have more users and fewer servers than their paid counterparts, which they try to compensate for by imposing bandwidth caps and wait times. The end result is a slow, unstable connection that leaves you unsatisfied. Consider how a free VPN service makes money. Because they’re in control of your network traffic, they’re capable of showing ads on every page you visit, injecting tracking cookies to monitor your activities, or selling your browsing habits to third parties. Unfortunately, free VPN companies have a history of these shady practices. Recently, we’ve seen cases where VPNs are bundled with malware, users’ bandwidth is sold without their knowledge, and people are misled about the kind of logs that are kept. To stay safe, we recommend using a reputable VPN service with clear logging and privacy policies. What’s the difference between ITV and STV? ITV actually has separate channels for different parts of the UK. ITV is the main channel and is used in England and Wales. STV is Scotland’s ITV channel. There are a few reasons why this is significant when you’re using a VPN. First, before you can use the ITV Player, you have to create an account. The problem is that there are separate sites for the ITV and STV Players, and these accounts can’t be used interchangeably. You’ll have to make sure you use the right player for the region of the server you’ve connected to. ITV and STV broadcast similar content but it’s not always identical. The biggest example here is the news, with STV covering Scottish issues. However, specific shows are very occasionally shown at different times on STV than on ITV. UTV is Northern Ireland’s version of ITV. Viewers in Northern Ireland don’t have their own player, or even full access to the ITV Player. For this reason, we’d recommend avoiding Northern Irish servers if you’d like to watch ITV. If you try using the ITV Player from outside of the UK without a VPN, you’ll see a message saying “We’re sorry. This video isn’t available right now. Check out our Shows section for more great programmes”. This can be easily resolved by connecting to one of your VPN’s English servers. However, there are a few more steps to take before you’ll be able to watch anything. First, you’ll need to register by clicking the Sign in link in the top-right of the screen. Next, click Sign up now. Enter your name and email address in the form on the following page. You’ll then be prompted to enter your postcode. The ITV Hub uses this postcode to direct you to the correct web player, so be sure to use a UK postcode. Some, like the one used by Buckingham Palace, are blocked, but you can easily find a postcode that works by right-clicking on a random English street in Google Maps and choosing the “What’s here?” option. Once you accept the terms and conditions, click Submit. You should now be able to watch six different ITV channels to your heart’s content. It should be noted that ITV’s on-demand content and streams contain ads. While some of these ads can be disabled with a premium membership, this requires a British bank account, and as such, isn’t as easy to get for overseas viewers. ITV Hub still not working? If you’ve followed the steps above but still find yourself being directed to a different player or denied access entirely, try the following suggestions. Make sure you registered with a UK postcode and check your VPN is connected to a UK server. Remove any data that the ITV website has saved by clearing the cache. You can either clear the entire cache (which will delete all saved information from every site you’ve visited) or clear it for ITV specifically by holding the CTRL key and pressing F5. If the ITV Player works in your browser but not when using an app on another device, the secondary device may be forced into using your ISP’s DNS settings instead of the VPN’s. This can be resolved by using a virtual router or by installing your VPN onto your wireless router directly instead of using the app. 13 Can I use a free VPN to watch ITV? 14 What’s the difference between ITV and STV? 16 ITV Hub still not working? 8 Can I use a free VPN to watch ITV? 9 What’s the difference between ITV and STV? 11 ITV Hub still not working?